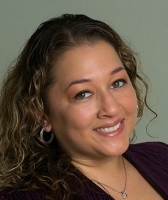 Jessica Alfaro has more than 15 years of experience providing consulting services in ITSM and enterprise management disciplines for the federal government and intelligence community. She delivers value to her clients by helping them capitalize on their service management investments, and she provides the strategy and vision to support process automation improvement efforts using best-in-class service management tools. Jessica enjoys collaborating with her colleagues, sharing experiences, and delivering value along the way.